OXFORD, Maine - Thirty wins. Two championships. 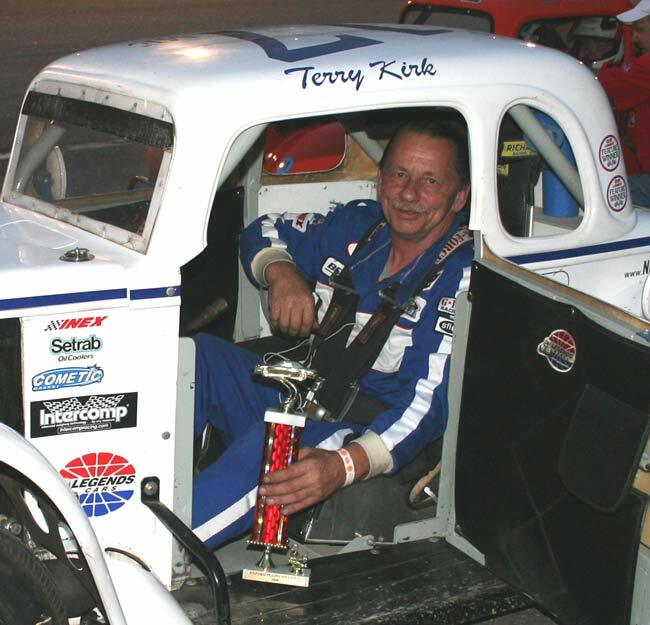 Jimmy Childs' credentials in more than a decade as a Mini Stock driver at Oxford Plains Speedway were undeniable. 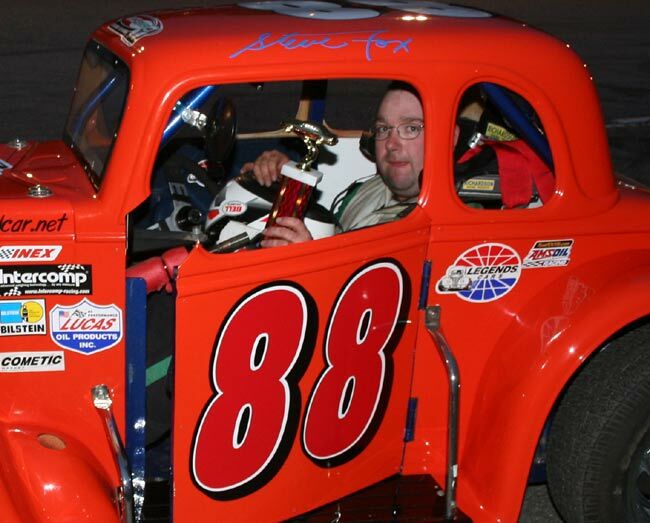 Running up front in an Oxford Networks Late Model is an entirely different challenge, though. 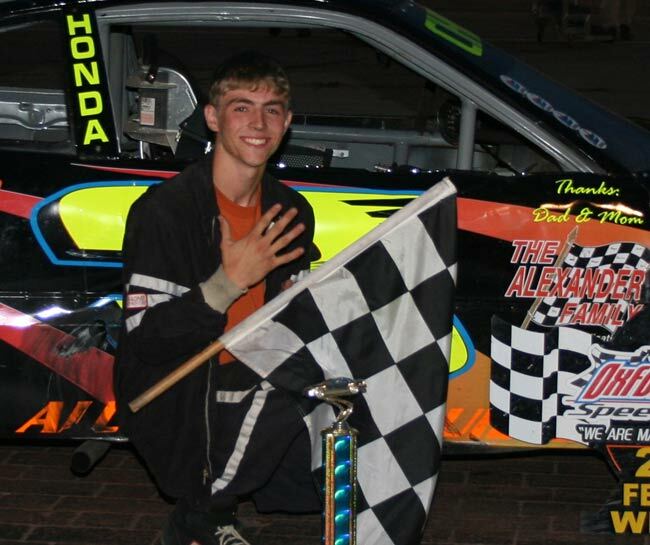 Three months full of ups, downs, speed bumps and forks in the road left one of the speedway's most confident competitors questioning himself. "I usually win at least one or two races a year, but I was beginning to doubt whether I would get one this season." 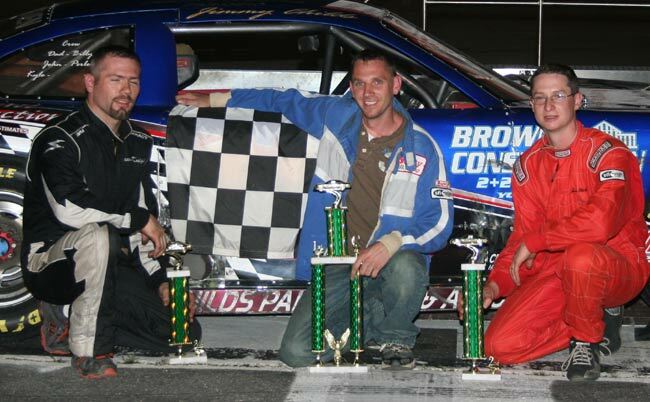 Childs left no doubt in anyone's mind Saturday night, leading all but the first three laps and finishing nearly four seconds ahead of Shawn Martin in the 40-lap main event of New England Dodge Dealers Championship Night. 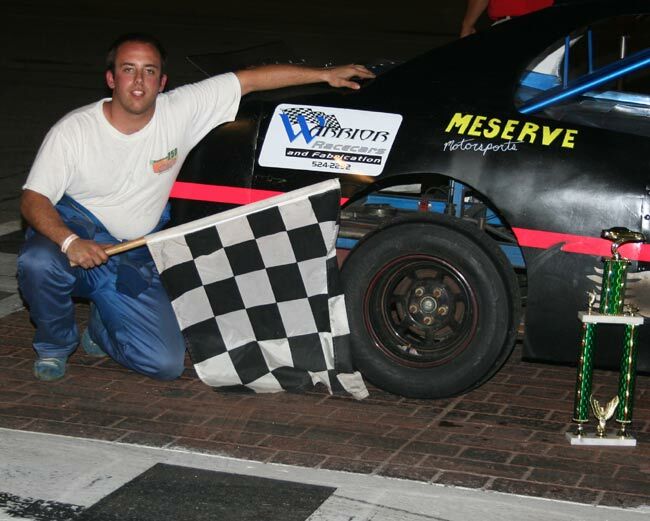 Shawn Knight, the driver Childs is chasing in the Lampron's Energy Rookie of the Year battle, finished third ahead of point leader and reigning champion Travis Adams and Kurt Hewins. "I've been waiting a long time for this," Childs said of his dominating effort in the Maine Commercial Door/Buddy T's #10. "We've got it dialed in pretty good." In accompanying action, Joe Hutter and Sumner Sessions prevailed in double Allen's Coffee Flavored Brandy Strictly Stock features. Sessions led the nightcap under caution eight laps from the scheduled distance. With a light mist falling at 9:20 p.m., race officials called for the checkered flag in deference to the scheduled fireworks display. Central Maine Pyrotechnics' third of four gigantic presentations of the season at OPS went off without a hitch to wrap up the night. 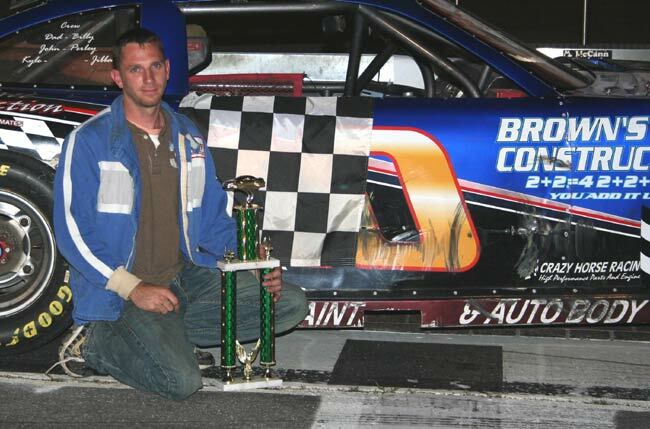 Justin Karkos posted his division-leading fifth Allen's Coffee Flavored Brandy Mini Stock win of the season. 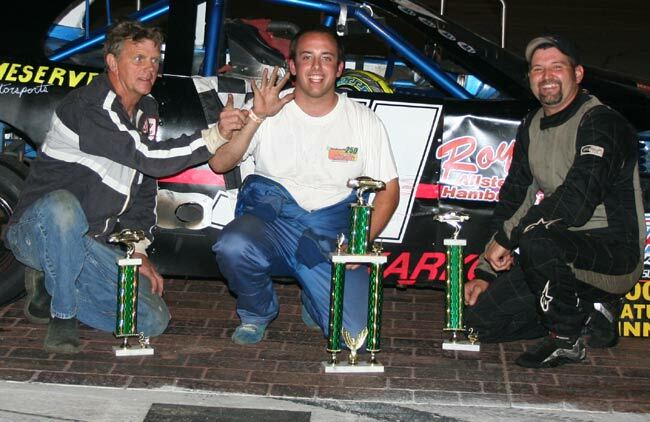 Josh Childs matched that total with an overpowering victory in Macdonald Motors Runnin' Rebel action. 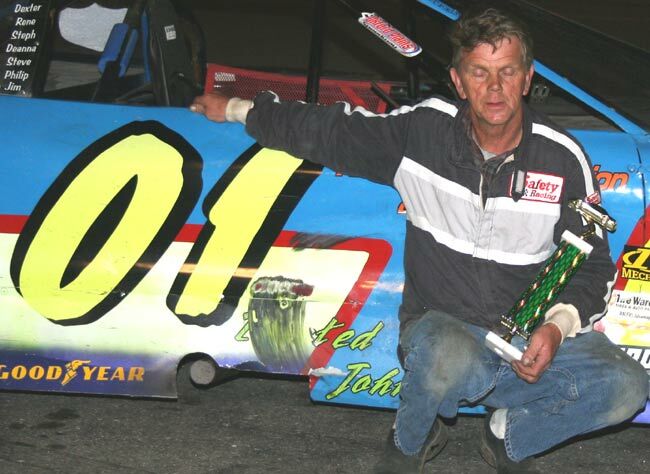 Jake Burns tied another record with his 10th triumph of the season in Call of the Wild RV Sport Truck, while Bob Weymouth snagged his second OPS victory of the summer in the New England Legends Cars. 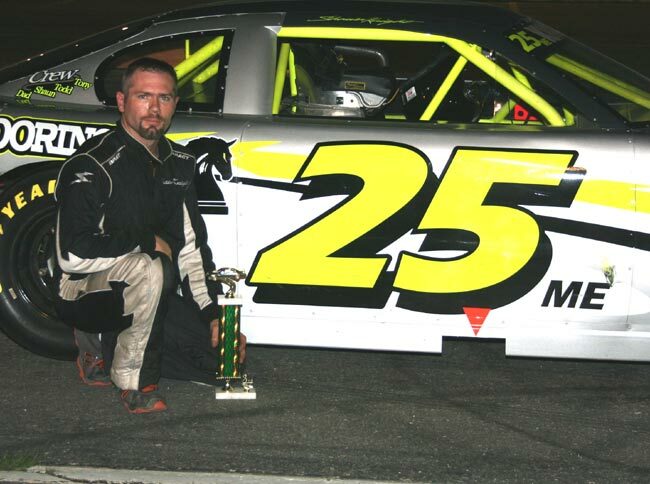 Martin moved into the second spot in the Late Model main event with a move around Knight on lap 24. That seemed to indicate a looming showdown for the win between the 2004 champion and the rookie sensation. Martin and the Bombardier/Oxford Networks #94 didn't get a caution flag to help their cause, however, and Childs actually stepped up his pace and increased his lead over the waning circuits. "One of these nights we're going to win another one of these races," said Martin. "We're on a pretty nice streak of seconds, so that's great. Congratulations to Jimmy. He had everyone covered." 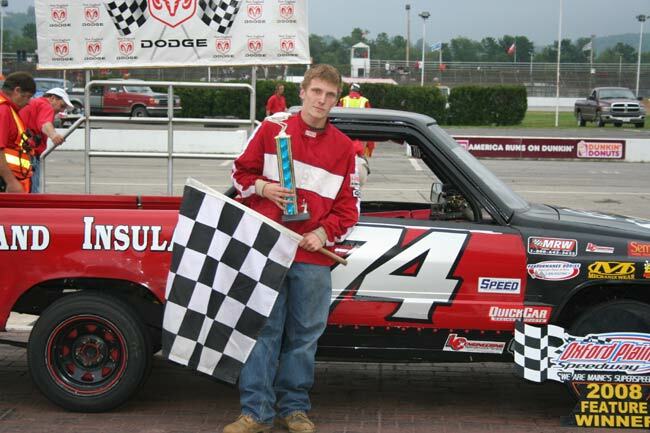 Knight has flirted with the top five in the division point standings all season long, leading Childs in the rookie chase for most of that time. 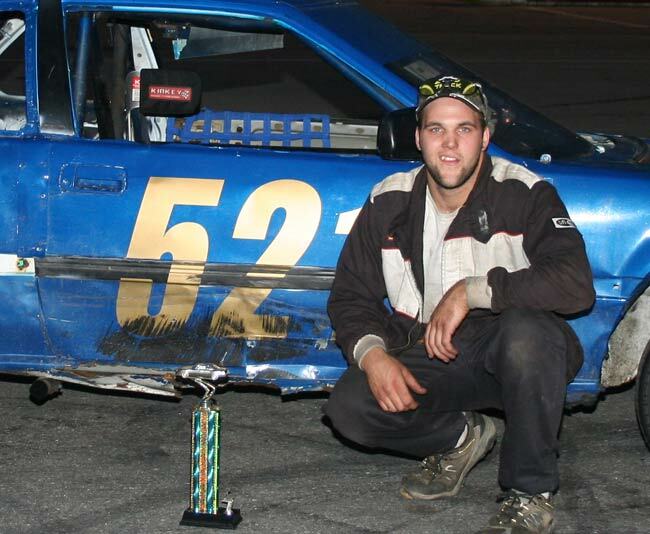 His Central Maine Archery/Knight Flooring #25 made hard contact with the front stretch wall one week before the TD Banknorth 250, however, and Knight fell just shy of qualifying for the short track showcase. The third-place run ended a string of three finishes of 14th or worse since a runner-up effort on Maine State Lottery Fireworks Night. "We've been struggling pretty hard with this car since we hit the wall," Knight said. "It's still not great, but it was good enough to get a trophy and get us back up here." 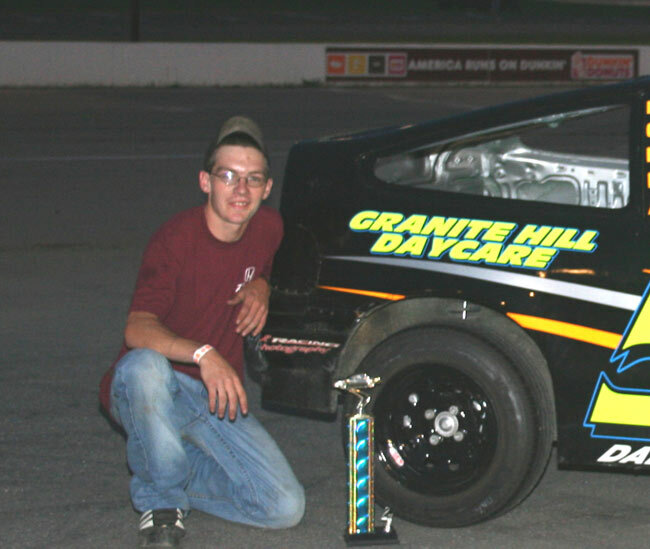 Travis Stearns was the only other driver to lead the event before Childs, setting the pace for the first three laps. 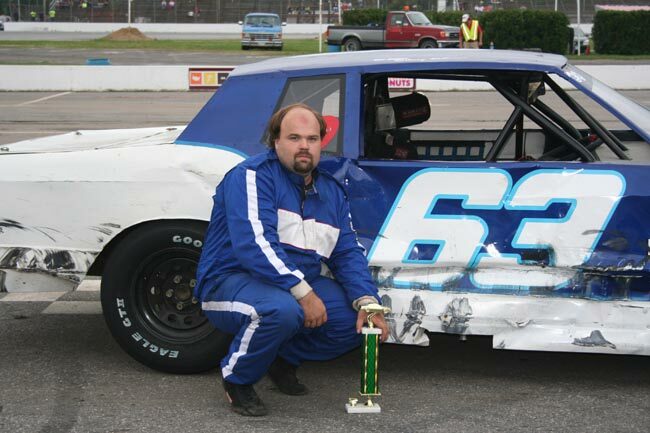 Hutter handed over his Brown's Construction #2 to teammate Mike Blue for the night's regularly scheduled contest, but not before winning the Strictly Stock make-up event. 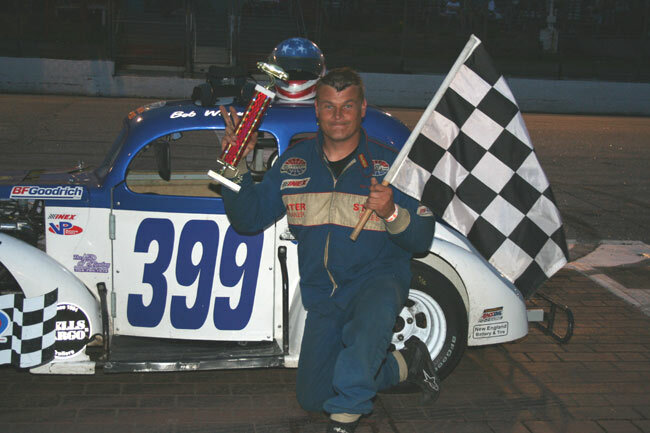 It was the second straight victorious start for Hutter, who led the same top three -- himself, Zach Emerson and Matt Williams -- in the 30-lap race that followed the TD Banknorth 250 on Monday, July 21. "Mike and my father and Kurt and Larry (Hewins) have been a big help," Hutter said. "It's going good lately. We're having a lot of fun." Emerson continues to knock on the door of his first Strictly win since 2004. 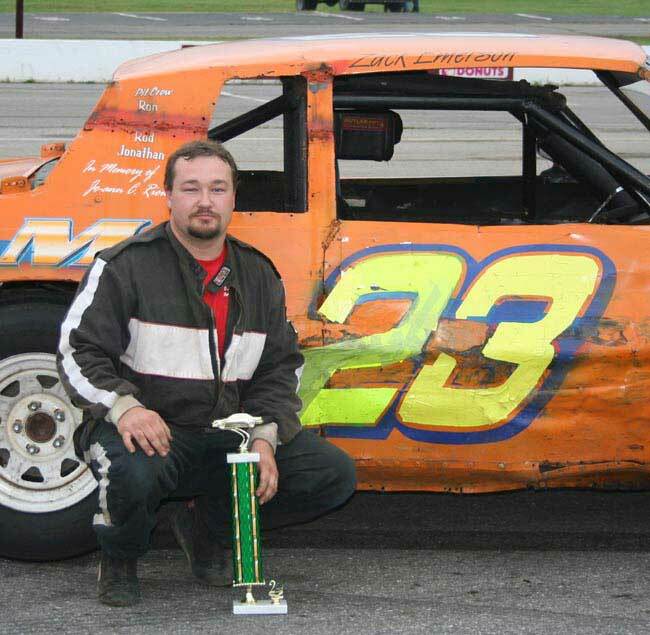 He posted his fifth top-five finish in the Durham Get & Go/Bo-Mar Transportation #23 since rejoining the division in late May. "It's kind of too bad we weren't able to get this one on 250 weekend, because this would have been three trophies in three days," Emerson said. 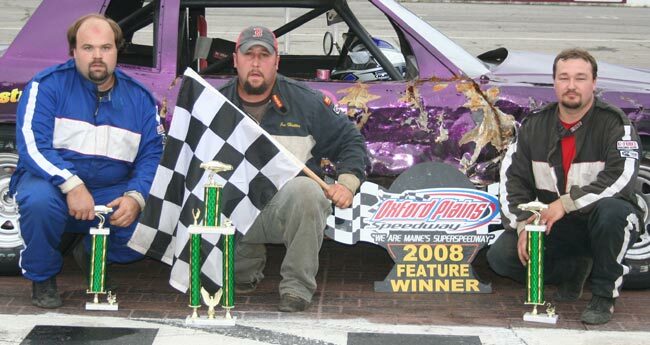 Williams remains the closest pursuer to division point leader Skip Tripp. He finished two spots ahead of Tripp in the first Strictly sprint, with Mike Short tucked between them in fourth. "(Short) tried using up the right side of my car a little bit," Williams said, "but I wasn't going to give that spot to him." Based on Sessions' season from April to July, it's amazing that the encroaching rain somehow didn't find a way to take the win away from him. The three-car duel for second between Glen Henderson, Short and Tripp didn't hurt Sessions' cause. Neither did the sudden drizzle, which slowed the cars almost three-tenths of a second from their late afternoon pace. After a lap 22 caution for a solo incident involving Tommy Tompkins, the track got wetter. With the window closing for the advertised fireworks display, track officials decided to call it a night. "The car was alright tonight. It's still not how I like it," Sessions said of the Sunco Well Drilling #0. "We were good enough to keep those guys back there." 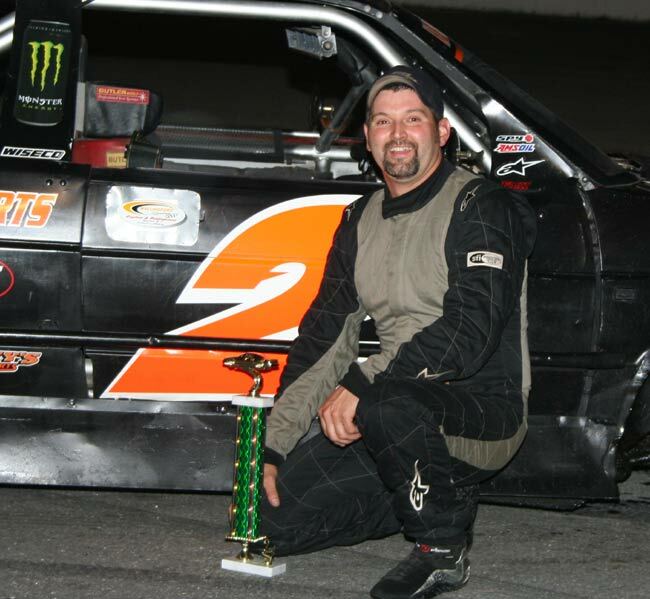 Sessions won for the 15th time in his Strictly Stock division, moving within three victories of all-time leaders Shane Green and Kim Tripp. 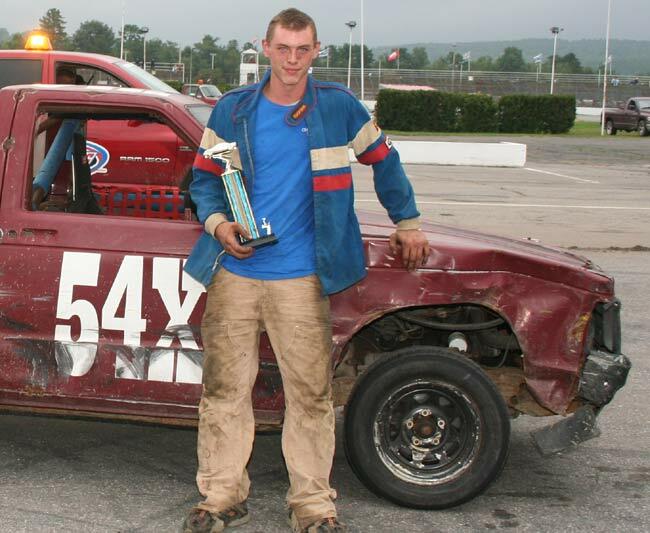 Henderson, still eyeing his initial win of the summe in the McGouldrick Builders #57, posted his fourth runner-up finish of the season. "My wife spots for me on the radio. She kept telling me I was number one tonight," Henderson said, "but I guess I ended up number two." 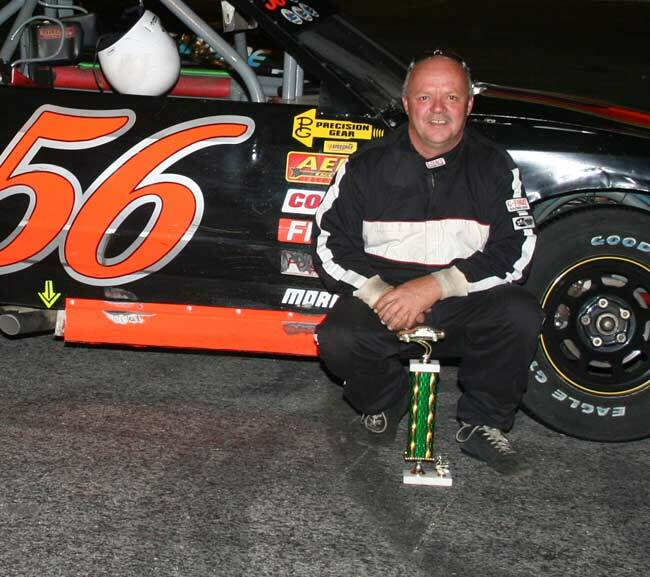 Short has racked up nine consecutive finishes of sixth or better in the All-Purpose Builders #56. He wasn't as delighted as Sessions to see the abbreviated format. "That would have been a fun restart," Short said. "Third and fourth tonight, I guess we'll take it." Skip Tripp and Kim Tripp completed the top five. Karkos' first pass for the lead was wiped out by a yellow flag on lap 26. 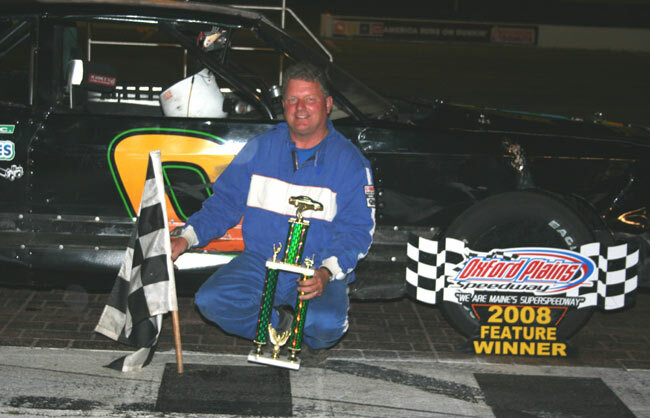 He snuck underneath Butch Keene just prior to a second caution with two circuits remaining and then owned the restart for his fourth victory in seven starts dating back to July 12 in the Polymer Repair Technologies #51..
As has become the custom, getting to the winner's circle was much tougher than Karkos made it look. "It's been a long day. I think everything's gone wrong that possibly could have," Karkos said. "We had a fuel pump fall off. We had an oil leak. Rich Sirois came down and helped us get it back together." Keene took the lead from Brad Dwinal on lap 3. There was no mystery who was approaching in his rear view mirror after Karkos stormed past Bill Childs Sr. into second on lap 21. "Can we go back to 20-lap features, please? I think that would be great," said Keene. "I keep seeing that 51 go by me. I guess I need to paint my car like Tom Cruise, because he beat Rowdy Burns in Days of Thunder." 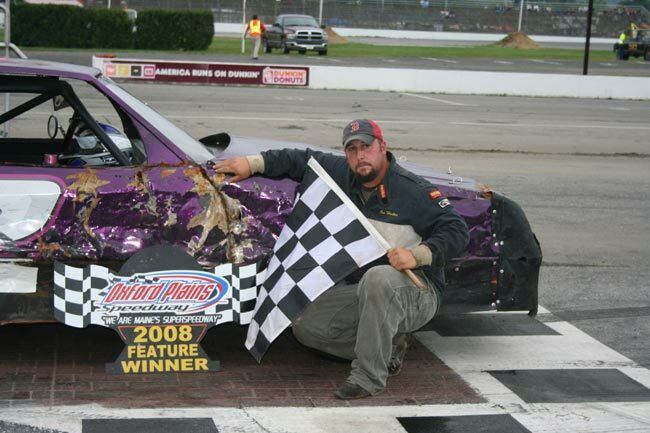 Childs Sr. was a strong third in his back-up car, rebounding from last week's crash while leading the feature. Steve Barker celebrated his best finish of the season in fourth, with Darrell Moore edging Ashley Marshall for fifth to take a nibble out of Marshall's division point lead. Burns and Josh Childs remain the drivers to beat in their Acceleration classes. 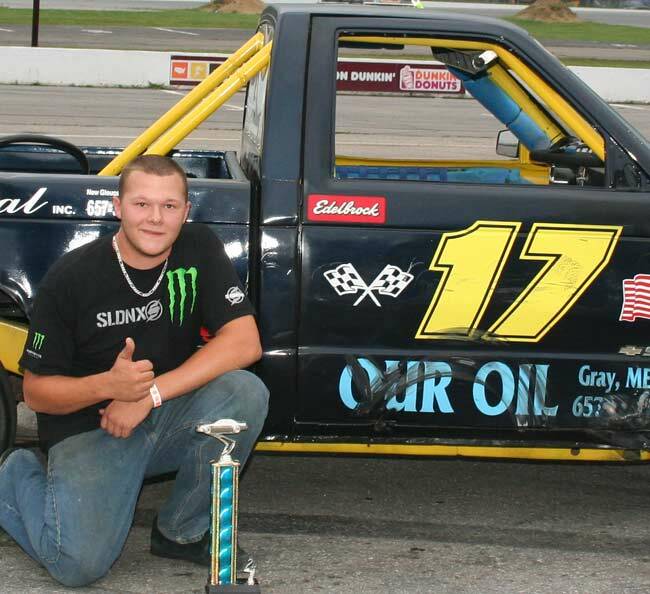 For Burns, the 10th Truck win of the season tied teammate "Wild" Bill Irving's two-year-old single-season record. 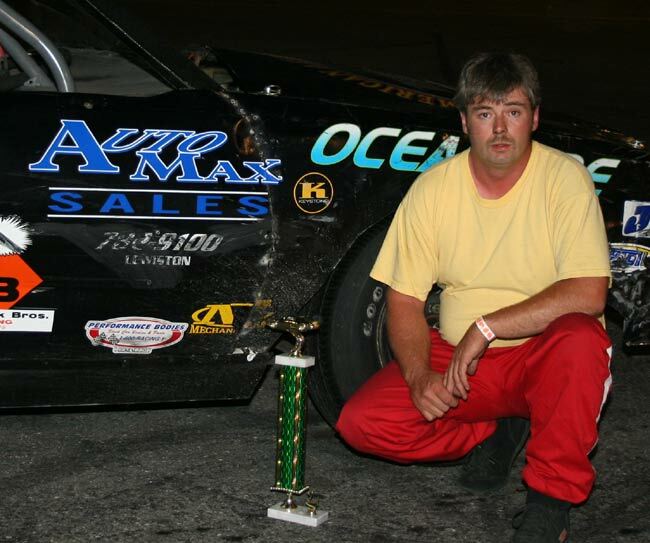 "I got a lucky break at the beginning," said Burns, who moved from sixth to first in four laps of the 20-lap sprint. 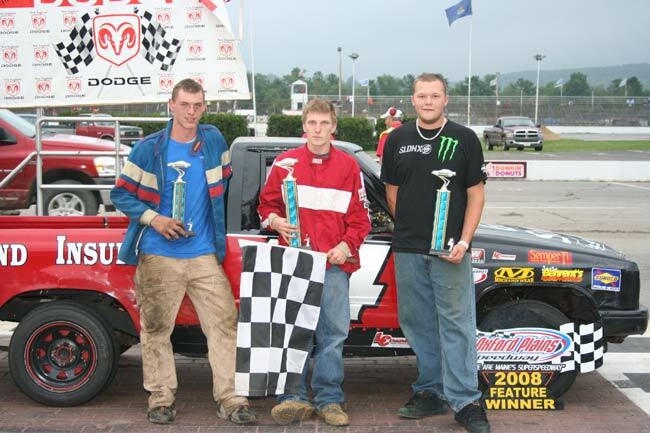 Ross Spurling and Devon Smith rounded out the podium positions, each with a career-best trophy. Corey Williams' fourth was his best effort of the summer, followed by John Lizotte. Like his cousin in the Late Model finale, Childs couldn't be caught after taking over from Bill Dunphy on lap 5 of the Rebel scramble. "Kyle (Hewins) and I finally finished one-two," remarked Childs. "We've been shooting for that all year." 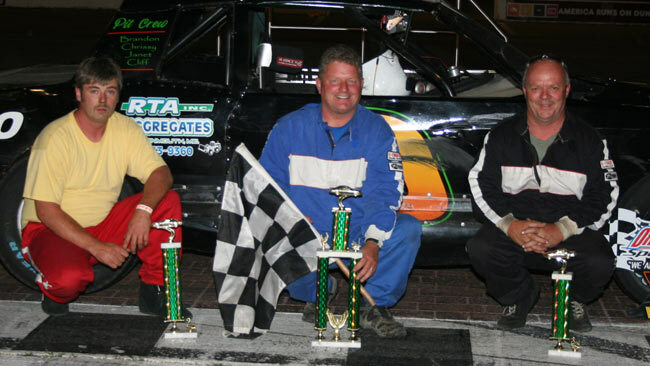 Wednesday night point leader Hewins out-dueled Scott Farrington in the battle for second. Troy Jordan and Dunphy followed. Lap leaders: Stearns 1-3, J. Childs 4-40. 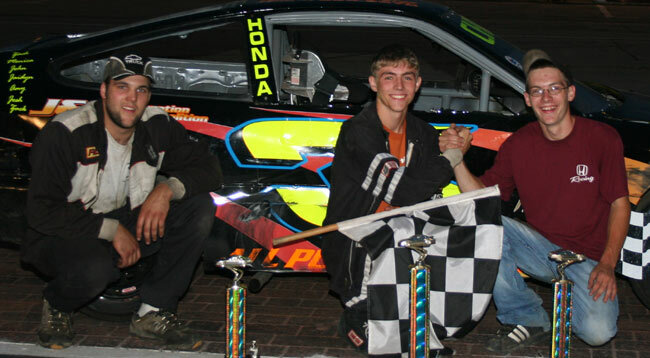 Fast lap: Joe Hutter, 18.425 seconds. Lap leaders: Green 1=6, Sessions 7-22. 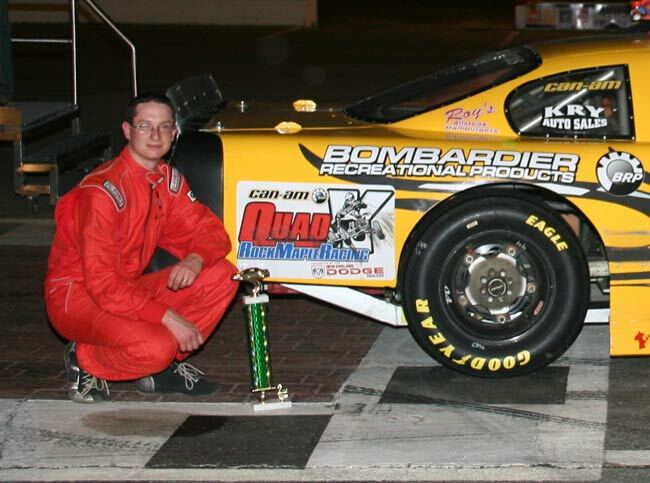 Fast lap: Mike Short, 18.671 seconds. Lap leaders: Dwinal 1-2, Keene 3-27, Karkos 28-30. Lap leaders: Dunphy 1-4, Josh Childs 5-20. Lap leaders: Smith 1-3, Burns 4-20. Lap leaders: Kirk 1-5, Zachem 6-12, Weymouth 13-20.